Spectrum Mobile launched in 2018 as a hybrid MVNO provider that uses WiFi and Verizon’s Wireless network to provide service to its subscribers. When available, Spectrum will connect to Spectrum Wireless Hotspots for data usage. The service is only available to those who are also Spectrum Internet customers. Those who are Spectrum Internet customers who cancel their internet will have to pay an additional $20/month for their Spectrum Mobile wireless plan. 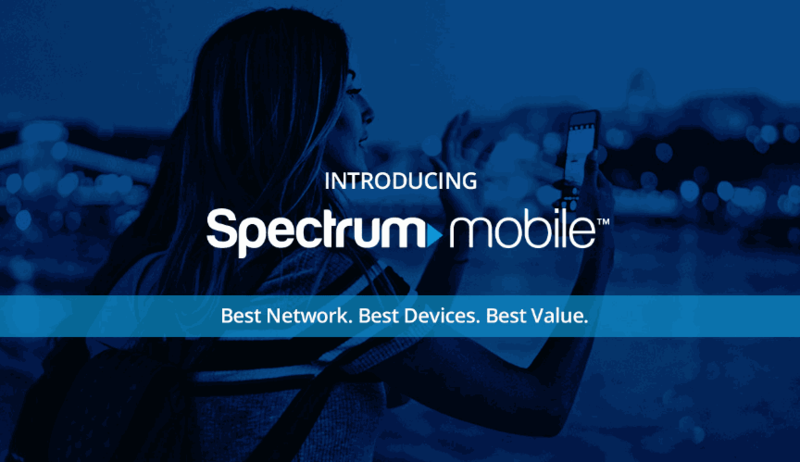 Spectrum Mobile will only initially allow new Spectrum Internet customers to to signup a maximum or two lines under an account. After a waiting period of 30 days additional lines may be added. A maximum of 5 lines are allowed per account. Service plans and SIM cards are currently only available directly through the Spectrum Mobile website. In December of 2018, Spectrum Mobile launched support for bring your own iPhone. Support for bring your own Android device is not yet available, but will come at a later date in the future. Bring your own device is only available in stores. Customers cannot get it online. Spectrum Mobile does sell a limited number of phones. Most are high end premium models from Apple and Samsung. Only one device under $200 was available at launch, the LG K30. Customer support is available over the phone at 1-(833) 224-6603 and in person at your local Spectrum help center. Spectrum Mobile will unlock your phone as long as it has been paid off in full and you have used it with their service for a minimum of 60 days. The account the phone is attached to must also be in good standing and active at the time of the unlock request. Hey folks, Just moved to Texas area. I would want an internet at reasonable cost. Would Spectrum be worth the buck? Are the phones from Spectrum Unlocked ? if not, are we allowed to unlock it so that we can use it in the countries? Google Fi is good service. Prices are much cheaper. 10$ a gig a data verses 14 with Spectrum. It’s like 25$ unlimited talk and text for first person in your plan. Then like 20 each additional person in your family plan. Fi is not cheaper. Fi cost $30 for unlimited talk and text with 1GB of data. It costs $14 for the same plan with Spectrum. Fi costs $45 for 2 lines with 1GB of data each line, it’s $28 with Spectrum. at all. 84dollars a month. The unlimited plan is unlimited. After 20GB gets used it slows down but remains unlimited. Is there a discount for veterans? So after you use up your 20 gigabytes how much does it slow down… Like say by percentage? Are you saying you never received phones at all? Wow…there has to be a tracking number etc etc plus where phones were delivered? Consumer Cellular is much, much less expensive. you can choose either the AT&T network or teh T-Mobile network. No it’s not. Not factoring phone purchases, Consumer Cellular ranges from a little more expensive, to a lot more expensive. Spectrum claims…No Contract at all.